This Saturday, Lowell will host the 46th Annual Lowell Invitational at the world famous Golden Gate Park. 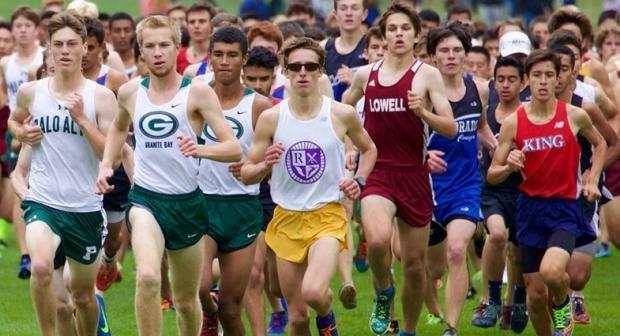 This meet has become one of the early season meets that has been the coming out party for some of the top teams and individuals in this area and beyond. This year's version will not disappoint as the competition should be outstanding from the first boys' freshman race at 9 am to the last boys' Varsity race at 2:30 pm. The teams that will be competing are listed in the next page and as you can see, it's an assortment of some of the best teams in the state, regardless of division. All of the races, as you see below, will be separated due to the large-sized fields. Although some of the top teams and individuals won't be facing each other, we should still get some awesome times and performances. Among the top teams competing will be the Granada boys and girls who will both be favored to win the NCS Division II races. Traveling from the south will be Laguna Beach. At this point in the season, the Laguna Beach boys are ranked #1 in the Southern Section while their girls are ranked #7. Bellarmine always has strong representation in all the races and will be just as strong this year with a young varsity team. Two San Francisco teams that will be strong this year are University and the host team Lowell. The University boys won their first state title in school history while their girls also made the podium at state. Lowell may have one of their deepest boys team ever and will be looking to improve their place at state this season. Among the top individuals, look for Los Altos senior Owen MacKenzie to continue his rapid rise as a junior which culminated in a CCS 3200m title. Palo Alto senior Henry Saul will also be looking to make a major statement here. Preston Norris of Las Lomas just broke the meet record at the Monte Vista Invitational and will be looking to see what he can do on a longer cross country course. Among the girls, Healdsburg senior Gabrielle Peterson was one of the most improved runners in track with personal bests of 4:48.91 and 10:34.44. Menlo junior Charlotte Tomkinson won her first section title in the 800m and podiumed at the California state track and field meet. Granada will be led by senior Colleen McCandless who was my top-rated NorCal runner in the pre-season.